Words and photo by Cameron Hallett. Campers share stories from their 2018 expedition to Belize. The harmful algal blooms we are currently experiencing in our area required camp counselors at Sanibel Sea School to improvise daily during Crocs and Gators Week and Needlefish Week. Campers were unable to engage in water-based activities, so camp staff organized many inland games and experiences, often with help from fellow non-profits and businesses on Sanibel. 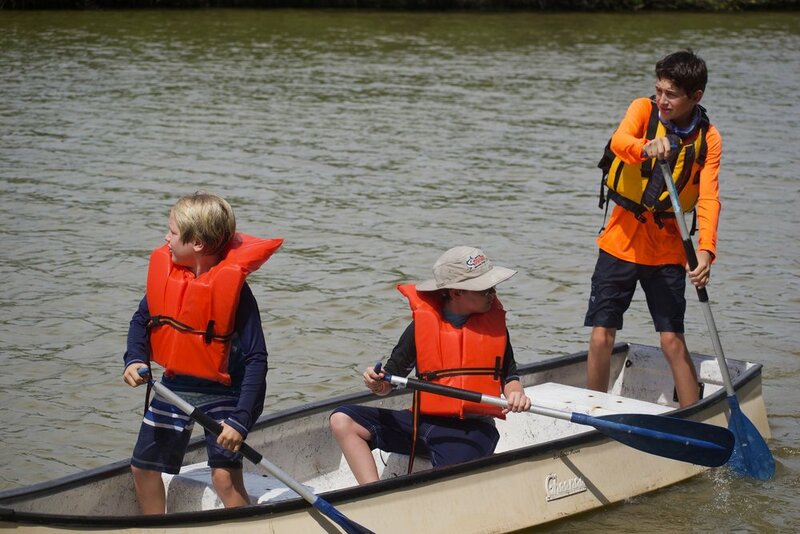 “Thanks to our community, camp participants were able to enjoy a great week of camp despite the poor water conditions,” said counselor Sam Lucas. Activities included art and games at Sanibel Sea School’s Flagship Campus and Sundial Beach Resort & Spa location, as well as field trips to the J.N. “Ding” Darling National Wildlife Refuge’s visitor center and wildlife drive, SCCF, and Periwinkle Park Campground. “We’re so grateful to everyone who invited us to visit and offered to help in other ways,” Lucas added. Counselors also organized lessons to help campers better understand harmful algal blooms and why they occur. Each group collected a water sample using a plankton net, then used a microscope to look for Karenia brevis (red tide) cells. A sample collected at the Buttonwood Lane bayside beach access contained a high concentration of cells. Sanibel Sea School is a 501c3 nonprofit whose mission is to improve the ocean’s future, one person at a time. To learn more, visit sanibelseaschool.org. We want to help people understand the ocean. This is the first installment of a series to inform people about red tide and harmful algal blooms currently affecting Southwest Florida.